This frozen yogurt tastes like yogurt! It's not like the frozen yogurt that you find at the store that tastes like cheap ice cream with yogurt in the name to make you think it's healthier. 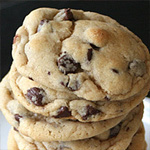 It's tangy, sweet, creamy, and so good! 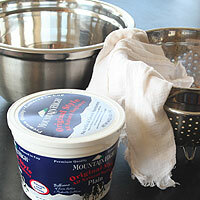 Place large sieve in a large bowl. 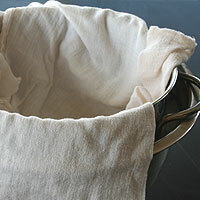 Line sieve with a cheesecloth folded into half. 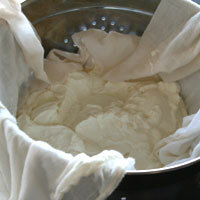 Lightly cover the top of the yogurt with the sides of cheesecloth. Cover bowl and sieve with plastic wrap. 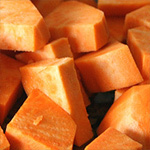 Drain in the refrigerator 6-8 hours. 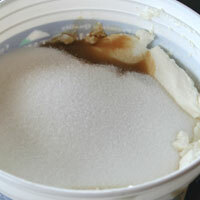 Drained liquid. Discard unless you have a use for it. Remove bowl from the refrigerator. 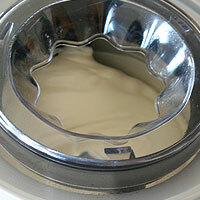 Lift cheesecloth and invert drained yogurt into a large mixing bowl. Add the sugar, salt, and vanilla. Mix well. 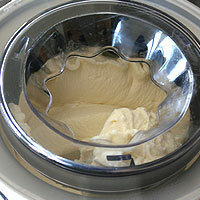 Set up ice cream maker according to manufactuer's instructions. Pour prepared yogurt in and freeze according to manufacturer's instructions. How is looks when it's ready to be transfered to the freezer. 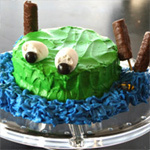 Scoop into freezer storage container and freeze until firm 2-4 hours. Serve plain or top with berries. 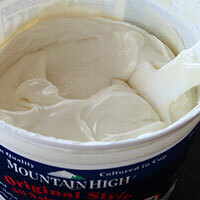 -Plain yogurt is a must for the tangy but sweet flavor here. If you use flavored yogurts you'll have to play around with the amount of sugar to add, because they usually already contain a lot of sugar. -Draining - If the yogurt is not drained it will taste icy rather than creamy. 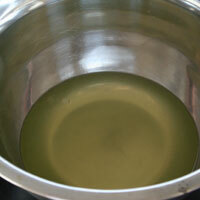 Place large sieve in a large bowl. Line sieve with a cheesecloth folded into half. Pour yogurt into cloth. 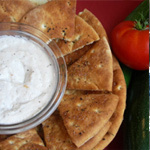 Lightly cover the top of the yogurt with the sides of cheesecloth. 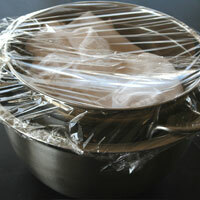 Cover bowl and sieve with plastic wrap. Drain in the refrigerator 6-8 hours. Remove bowl from the refrigerator. 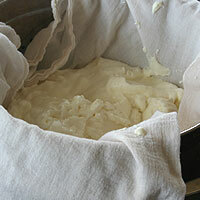 Lift cheesecloth and invert drained yogurt into a large mixing bowl. Discard the drained liquid in the bowl unless you have a use for it. Add the sugar, salt, and vanilla. Mix well. 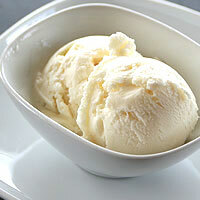 Set up ice cream maker according to manufactuer's instructions. Pour prepared yogurt in and freeze according to manufacturer's instructions. 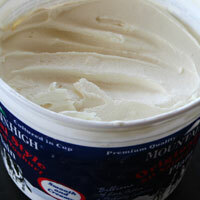 Scoop into freezer storage container and freeze until firm. Serve plain or top with berries.